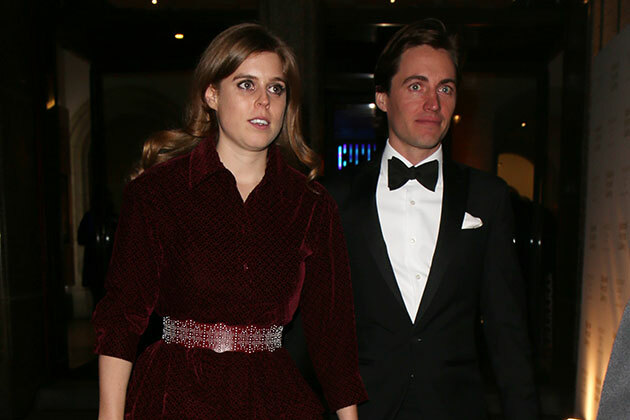 Princess Beatrice is reportedly ready to follow in her younger sister’s footsteps with her very own walk up the aisle. The Duke and Duchess of York’s daughter is reportedly set to marry her millionaire property developer boyfriend, Edoardo Mapelli Mozzi, as soon as the end of this year! Beatrice is said to be “head over heels in love” with her new beau, and has even moved him into her St James’ Palace apartment. “They are incredibly happy and already planning the wedding” a source allegedly told The Sun on Sunday. The source added, “I don’t know if he has actually got down on one knee with a ring yet but they are openly talking about marriage and it will either be later this year or possibly early in 2020. Beatrice, whose sister Eugenie married Jack Brooksbank last October, was first seen with Edoardo, who has a two-year-old son from a previous relationship, at a high society party last November. The pair are believed to have known each other for years and Beatrice attended the funeral of Edoardo’s stepfather, Christopher Shale, who died of a heart attack at Glastonbury in 2011. Beatrice and Edoardo are even spending quality time with her parents, Prince Andrew and Sarah Ferguson, with the foursome spotted enjoying themselves at the Bahrain Grand Prix a couple of weeks ago. Edoardo is Beatrice’s first public boyfriend since she split from Uber executive Dave Clark in 2016 after 10 years together. So could wedding bells really be on the cards? Only time will tell! We can’t wait to find out…!